Our top story today takes a position to get you thinking about the value of the materials in your smartphone and to question where it goes when you throw it ‘away’. In other news, a societal focus on the importance of and barriers to an equitable society; a look at the subtleties of NZ law in ensuring environmental protection is valued ‘against’ social and economic benefits; in Australia, the first signs of impact to businesses invested in renewables resulting from recent AEMO requirements with a listed company taking a write-down on solar projects; and the new special envoy for drought, Barnaby Joyce makes a call to give water reserved for a healthy wild environment, to farmers in drought for the farmed environment. Nearly five billion people worldwide will use a smartphone by 2020. Each device is made up of numerous precious metals and many of the key technological features wouldn’t be possible without them. Some, like gold, will be familiar. Others, such as terbium, are less well-known. Mining these metals is a vital activity that underpins the modern global economy. But the environmental cost can be enormous and is probably far greater than you realise. Let’s walk through some of the key metals in smartphones, what they do, and the environmental cost of getting them out of the ground. German Chancellor Angela Merkel has gone public with her concerns over a push to strengthen the EU’s greenhouse gas emissions targets for 2030, revealing she is “not particularly happy about these new proposals”. In a televised interview on Sunday with broadcaster ARD, Merkel said extreme weather events were providing ever more compelling evidence that climate change would impact economies around the world. The devastating floods in the Indian state of Kerala are a stark reminder of the vulnerability of the world’s most densely populated regions to weather and climate phenomena. In addition to the tragic loss of several hundred lives, widespread floods driven by unusually high and persistent monsoon rains have severely impacted the region’s fragile infrastructure and displaced more than a million people. Only in recent days has the Indian government been able to understand the full extent of an estimated US$3 billion worth of damage. It is now typical that the aftermath of severe weather events is marked by questions about the role played by human-induced climate change. Over the past few decades the international community has watched as the destruction of Earth’s largest forest has intensified. Deforestation has been eating away at the Amazon’s fringes, mainly for commercial cattle ranching and agricultural plantation. The agriculture, livestock, mining and infrastructure sectors have been promoted due to powerful financial and development pressures for high profits and economic growth. Meanwhile, indigenous peoples, traditional communities and smallholders have had their livelihoods imperilled, while carbon emissions have increased, water quality and quantity have declined, forest fires have increased, and wildlife has been lost. 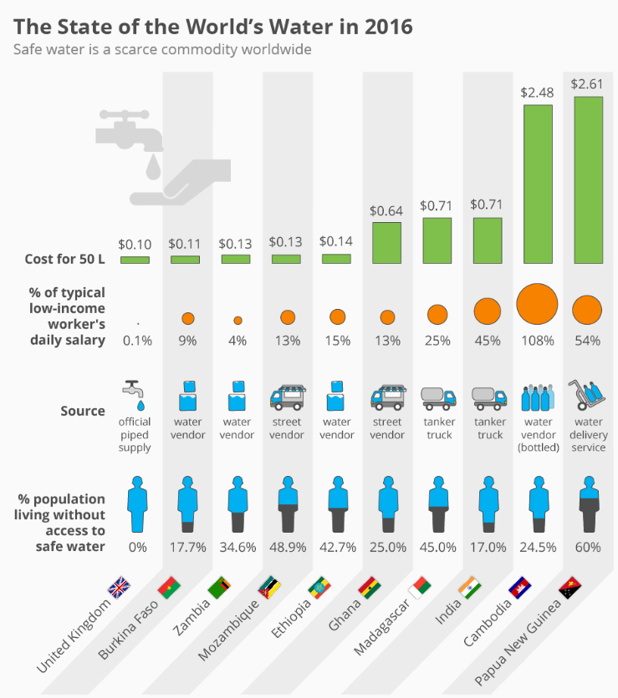 Water is one of the most valuable resources on Earth. It covers over two thirds of the planet’s surface, makes up around 70% of the human body and is essential for life. For many people a consistent supply of clean, safe water is on tap. But for many others life is not so easy. Experts, decision-makers and innovators work together during World Water Week to foster new thinking and find solutions to some of the most pressing water-related challenges. Here are some of the key issues they are facing. AUSTRALIA – Diverting water earmarked for the environment to help drought-hit farmers would “absolutely” breach the federal Water Act, says David Papps, the former head of the Commonwealth Environment Water Office. Mr Papps was responding to Barnaby Joyce, the former Nationals leader and special drought envoy under the Morrison government, who said such diversions were needed to address a “national emergency” as the big dry spreads. AUSTRALIA – Two senior figures in Queensland cotton conglomerate Norman Farming have been arrested over an alleged $20 million fraud involving federal funds earmarked for Murray-Darling water savings. Norman Farming CEO John Norman, 43, and his chief financial officer Steve Evans, 53, surrendered themselves at the Brisbane watch house Tuesday morning with their lawyers at their sides. Uber’s dramatic rise has been accompanied by criticism, including allegations of predatory pricing and flouting of safety and employment laws. Of course the flipside of this is that Uber allows ordinary people to share and monetise the spare capacity of their assets – in this case their car. It means fewer cars on the road and extra cash for anyone who becomes an Uber driver. My ongoing research aims to connect specific, observable features of a service with a consumer’s personal value system – the underlying reason why the customer chooses the service. NEW ZEALAND – The Government will have to offer up more carrots if it wants motorists to swap petrol for power, a survey of electric vehicle (EV) owners has found. More than three quarters of owners who took part in a new poll believed cash incentives would be needed if more than half of new vehicle registrations were to be electric by 2025. Of more than 66,000 new or used light vehicle registrations in the first three months of this year, just over 800 were EVs. NEW ZEALAND – Three appeals and four years later, plans for a 39th mussel farm in a Marlborough Sounds bay are dead in the water. The Court of Appeal has chucked the Beatrix Bay application out once and for all, saying the environment was too nationally significant – close to a king shag feeding ground… The Environment Court said the Supreme Court decision in 2014 ruled there was no need for Part 2 of the Act if there were relevant regional or national policies. Part 2 was known as the “engine room” of the legislation, where judges weighed up economic and social benefits against environmental protection… But the trust’s lawyer James Gardiner-Hopkins said the act was amended in 2013 to include the phrase “subject to Part 2” because it was supposed to supersede other policies. NEW ZEALAND – The South Taranaki Bight seabed mining decision was overturned because its method of environmental management was illegal, the High Court ruled. We all have multiple identities and some of them are likely to be stigmatised. While it may seem like we should just stop paying attention to stereotypes, it often isn’t that easy. False beliefs about our abilities easily turn into a voice of self doubt in our heads that can be hard to ignore. And in the last couple of decades, scientists have started to discover that this can have damaging effects on our actual performance. NEW ZEALAND – When Kate Edger applied to sit the scholarship examination for entry to university in 1874, she applied as “K. Edger” without disclosing her gender. It’s hard to believe now, but New Zealand at the time was like Pakistan today. The very idea that girls should be entitled to an education was still controversial. France’s Environment Minister Nicolas Hulot has dealt a dramatic blow to President Emmanuel Macron’s climate policy plans, announcing live on radio this morning that he is resigning over frustrations at the government’s green efforts. AUSTRALIA – One of Australia’s leading solar contracting companies, RCR Tomlinson, has taken a massive write-down on one of its flagship solar projects, sending the company into a loss for the last financial year, and causing it to scrap dividends and make an equity raising… Concerns about cost over-runs and contract disputes at solar projects were first raised by RenewEconomy earlier this year, with most solar farms suffering delays because of stricter requirements imposed by the Australian Energy Market Operator and delays at the local network level. AUSTRALIA – A Melbourne pilot project that aims to install shared solar and battery storage systems in three multi-tenanted buildings has won nearly $1 million in grant funding from the Victorian government. The project will install solar PV and battery systems in three as-yet unnamed multi-tenanted commercial and residential buildings, to help cut energy costs for around 650 customers – all up it is expected to generate 5000kWh of renewable energy and support 11,000kWh of energy storage. INDONESIA – Antigraft investigators arrested a member of parliament and a coal businessman, among others, in July in connection with a contract to build a $900 million power plant in Indonesia. The case has shone a spotlight on the country’s boom in mine-mouth power plants, which burn the lowest-quality coal available and are awarded to developers in an opaque process that makes them ripe for corruption. Indonesia continues to plow millions into subsidies for coal-fired power plants, and plans to keep relying on the fossil fuel to generate the bulk of its energy mix beyond 2027. UK – Officials say at least 40,000 people die prematurely in the UK – 9,000 in London – with many more suffering long-term health problems. A spate of recent reports have underlined the scale of the crisis; asthma deaths are up; hospital admissions spike when air pollution worsens; children living in polluted areas are likely to grow up with smaller lungs and risk of lifelong health problems. And it is not just people’s lungs that are at risk – toxic air is increasingly linked to a range of deadly conditions including heart disease, Alzheimer’s and Parkinson’s. AUSTRALIA – A consortium led by Australian firm Calix is now well on the way to completing a pilot plant for its breakthrough technology that will capture carbon emissions from the manufacture of lime cement. Other projects with similar aims to reduce the global warming impact of construction with concrete are also racing to the marketplace.